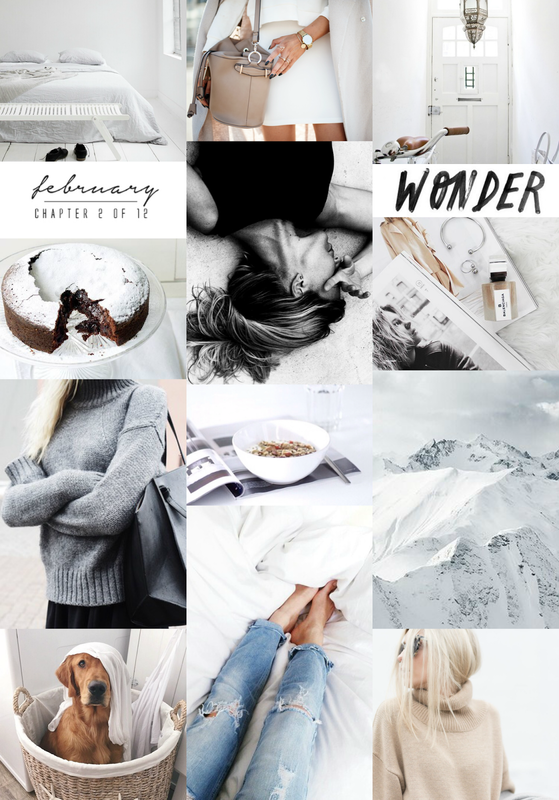 It's February, chapter 2 of 12, which means it's time for a new style/mood board. I don't know about you, but I love creating mood boards because they somehow cheer me up and style boards help me find outfits in the morning. It's always such a struggle to find a stylish outfit when you're tired and still half asleep, so having something to be inspired by is such a big help. Also, I like to add some cuteness to my mood boards because honestly, who doesn't love an adorable dog or cat or rabbit? My interior inspiration is pretty much the same every single month and to be honest, my interior style hasn't really changed over the past three years. I'm a big lover of minimalism, clean spaces and tidy rooms. If you want to see more photos like these, you can always follow me on WeHeartIt. ;) Have a lovely day!